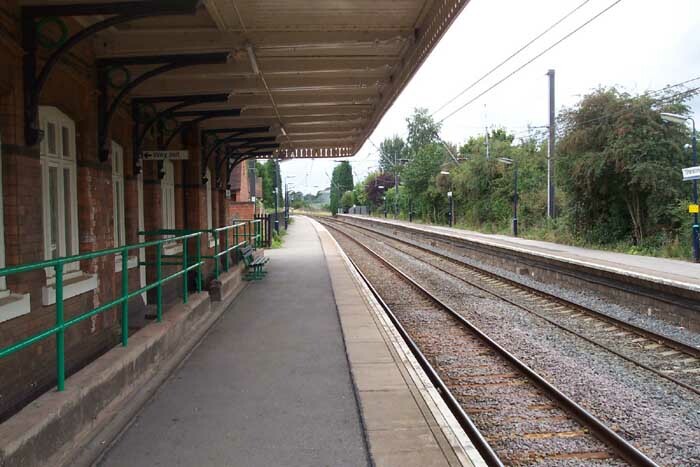 I was beginning to feel a little downhearted on my exploration of the cross-city line until I arrived at Shenstone following the uninspiring Blake Street and Butlers Lane stations. 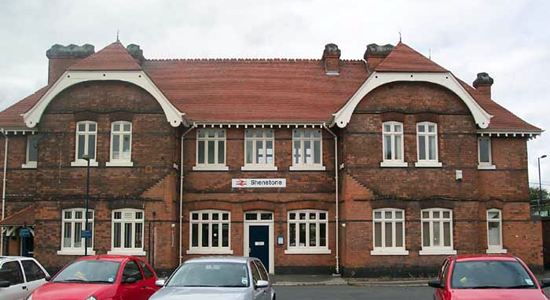 The former LNWR (later LMS) station opened in 1884 and actually appears as a traditional station with character. Its imposing entrance building seen above lies on Admiral Parker Drive - however, the building appeared deserted and the actual entrance to the station was by a small gate just out of sight to the right of the picture! Above-left we are on the Birmingham platform looking towards Lichfield with the Lynn Lane road overbridge in the background. 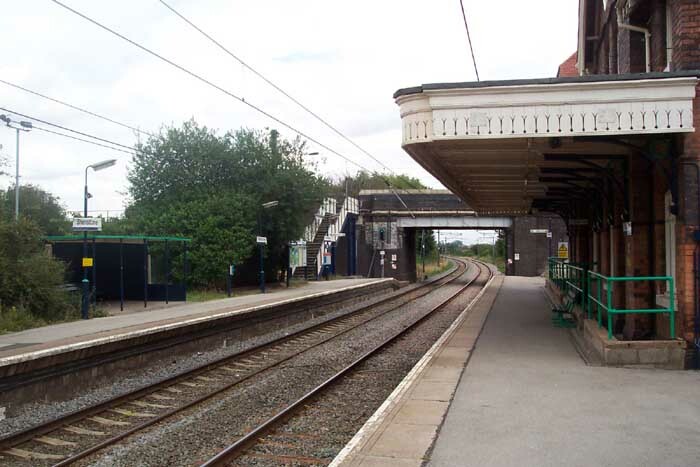 Note the canopy on the station building. 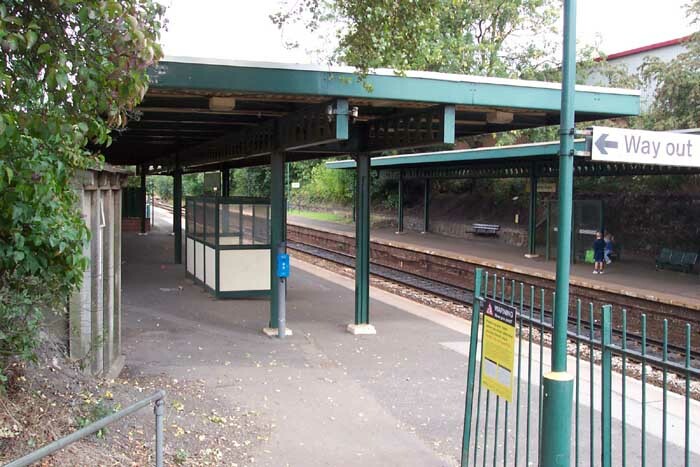 The Lichfield platform, as with several others on this line, is only served by a 'bus shelter'. Above-right we are again on the Birmingham platform but this time looking towards Blake Street - this view demonstrates the striking length of the platforms at Shenstone. This view captures the atmosphere of the station well. We are looking at the station from the stairs that lead up to the Lynn Road overbridge from the Lichfield platform.